Last week, Johnson & Johnson was ordered to pay $72 million in damages to the family of a Missouri woman who died from ovarian cancer. 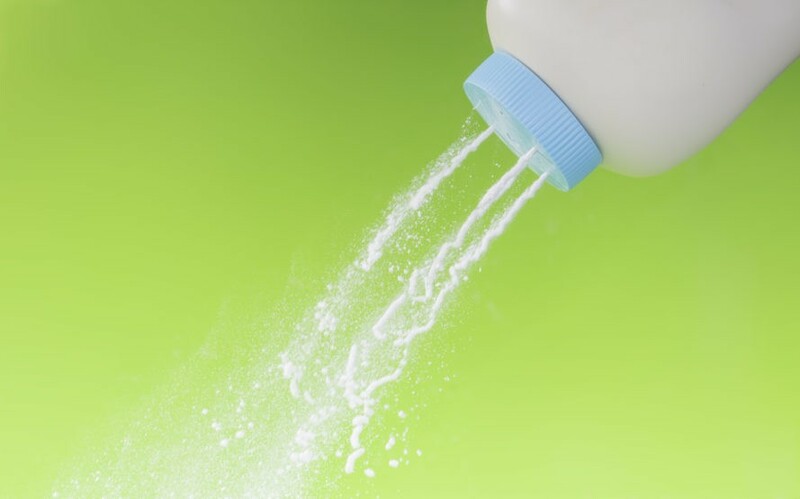 The court case centered on the allegation that talc, the main ingredient in Johnson & Johnson’s baby powder, caused her cancer after years of regular use and, even worse, that the company has been aware of the risks associated with talc exposure for a long time. Talc is used in many personal care and cosmetic products to promote dryness and ease chafing, and its continued popularity amid the health claims surrounding it prompted us to start thinking more about baby powder, why people use it, and what kind of healthier alternatives might be available. Read on to find out more. Talc is a mineral powder derived from soapstone and is known to be the softest mineral in the world, making it perfect for ‘skin soothing’ personal care products like baby powder and after-shower powders used to keep moisture and skin irritation at bay. There are a number of studies, published in recent decades, that suggest a link between inhaled talc and lung cancer, but there is very little conclusive evidence linking the common ingredient to endometrial or ovarian cancer. However, one study shows that women who used talc products were three times more likely to develop ovarian cancer as women who didn’t, and that is enough to create questions about the safety of these products. When it comes to consumer products, manufacturers have a responsibility to inform the public about potential risks associated with ingredients, even if no conclusive evidence links the products to cancer. Although some consumers might decide to use the products despite the risks, many of us actively work to avoid any ingredient known as a potential hazard, especially when it comes to babies and young children. Fortunately, if baby powder and similar products are important to your family, there are many safe, natural alternatives that are just as effective as talc, as well as a number of talc-free commercial personal care products to use. Arrowroot powder, cornstarch, and baking soda are among the most common replacements for talc in baby powder products, and before commercial baby powders existed, parents used pure cornstarch to perform the same function. With the rise of GMO corn, many natural companies are turning to arrowroot as a healthier alternative. Companies like Honest Company, Burt’s Bees, and California Baby all offer natural, talc-free formulas for babies and there are options for adult body powders as well. Do-it-yourself recipes for homemade baby powder, like this one from DIY Natural, are also an option. Another option, of course, is to ditch the powder altogether. For baby’s sensitive skin, frequent diaper changes and allowing time for baby’s bum to ‘air out’ are effective methods for avoiding diaper rash — which would negate the need to reach for baby powder. At the first sign of irritation, a thin application of coconut oil can help protect the skin and prevent infection, as it has natural antimicrobial properties. Although avoiding products that contain talc requires a little extra effort in the label reading department, we think of it as just another necessary step toward keeping our babies, and our families, safe and healthy. Following the $72 million verdict against Johnson & Johnson for talc-related cancer case, we look at some of the safe alternatives.